Editor's Note: This guest post was contributed by Jocelyn Brown, VP Customer Success at Allocadia. If you were asked to name the No. 1 marketing initiative for global businesses, what would you say? Lead generation? Brand awareness? Customer-centricity? You’d be close… But according to Forrester Research, the top priority for marketing within global organizations is to improve its ROI and effectiveness. This is not surprising, as Gartner found that we are in the third consecutive year of marketing budget increases, with more than $290 billion spent in Marketing in 2016. That means budgets are rising — giving us more tools and resources to grow market share. But, with those additional dollars comes greater expectation. After all, with great budget comes great responsibility. Today, all eyes are on the red-hot discipline of Marketing Performance Management. 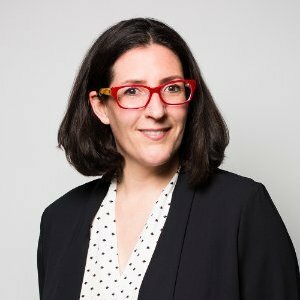 Allison Snow, Senior Research Analyst at Forrester, describes MPM as “the continuous optimization of Marketing's contribution to revenue.” At Allocadia, we think of it as running marketing like a business — being accountable to performance, and demonstrating stewardship over marketing investments. We recently announced the winners of the 2017 RunMarketing Awards, recognizing excellence in this strategic mandate of MPM, and illuminating the winning strategies of companies such as Microsoft, GE Digital, Red Hat, SmartBear Software, and Intralinks. Optimizing Marketing performance requires strategies that support an overall company’s objectives. Neenu Sharma, VP of Product and Marketing Operations at GE Digital, exemplifies this mindset, with an iterative and pragmatic approach to Marketing Performance Management, one that is both cross-functional and business-driven. She forged relationships with Sales, Finance, and IT, ensuring Marketing’s operational function supported the needs of the whole business, not just that of Marketing. This internal trailblazing earned her the “Catalyst Award” in the 2017 RunMarketing Awards, for her ability to lay out a complete and clear roadmap for her team at GE Digital. Getting thousands of Marketers around the world to plan, budget, and optimize the performance of their investments is no easy task. It requires changing people, process, and technology — and that’s never easy. However, Harris Thamby, Senior Program Manager, Sales & Marketing IT - Global Ops at Microsoft, enabled their global marketing team through a collaborative effort between a very large group of stakeholders. He’s earned the “Operational Excellence Award” this year for a holistic perspective and never losing sight of the end goal — global alignment around marketing planning. Hear directly from Harris on a live webinar event, Thursday October 26th. Register here. Marketing teams can too easily get bogged down in planning cycles as they make decisions about where best to invest their limited dollars. But Bryan Semple, CMO of SmartBear Software, knows it’s essential for Marketing to run like a business, especially with a team that is high-velocity and agile. Ryan Danner, Director of Global Marketing Planning & Financials at Red Hat, has pioneered the company’s MPM strategies, fundamentally transforming the way Marketing operates globally. He’s earned the RunMarketing “Vision Award” for his ability to build a solid underpinning for the organization to manage performance. Allocadia research shows that only 21% of organizations can point marketing’s measurements to revenue. Without effort, data, and organization around where Marketing is spending dollars, the marketing organization will never be able to accurately show their contribution to the business. Hear directly from Ryan on a live webinar event, Thursday October 26th. Register here. Managing the performance of marketing does not begin or end with FP&A, or at the topmost levels of the Marketing function. It’s critical to extend stewardship over marketing investments to the very front lines of the organization. This mindset is embodied by the 2017 “RunMarketing from the Field Award” winner, Shannon Russell, Director of Field Marketing Americas at Intralinks. Shannon takes a full stack approach to managing performance, aligning data across systems with strong standards and process so she can make the right decisions. These champions are changemakers, shrewd spenders, and true leaders in Marketing Performance Management. Every marketer should learn from these operational mechanics of the marketing machine, who work tirelessly behind the scenes strategizing, planning, budgeting, and analyzing to make sure every dollar counts, and drives maximum results. Marketing leaders must guide, build support, and energize what happens behind the scenes. Led by the CMO and Marketing Operations, marketing performance management powers these efforts. Marketers must look beyond execution to the operational scaffolding that makes success possible. —Kathleen Schaub, Vice President, CMO Advisory Service, IDC. 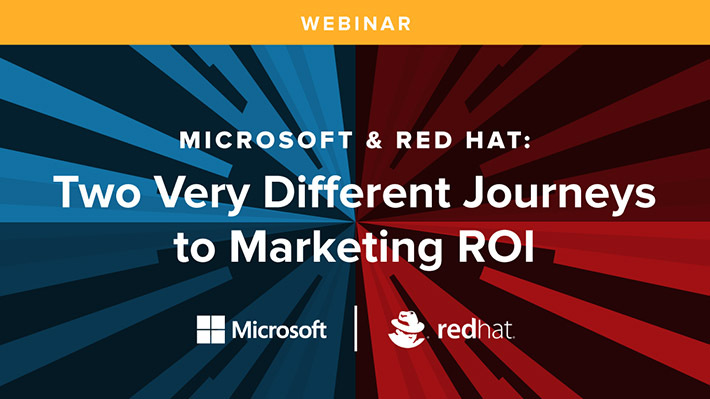 Learn how Allocadia RunMarketing Award winners Microsoft and Red Hat took two very different journeys to Marketing ROI in a live webinar event, Thursday, October 26th. Register here. To keep pace with how the most effective digital marketers are achieving maximum ROI, subscribe to the LinkedIn Marketing blog today.